Impact Gumshields will be coming back into school to do one more fitting session for anyone that missed them. It will take place on Friday the 9th of October. Please follow the link if you would like to book an appointment. 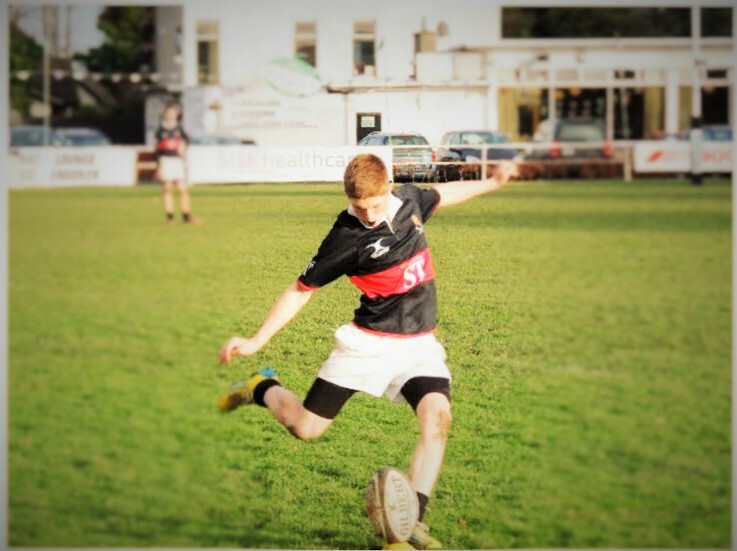 A fantastic result was achieved by the Senior XV on Wednesday, winning by a margin of 56-7 against Columba's College. High School took control early on with captain Jonathan Chambers setting the standard. A fine game of rugby was displayed by the High School side. 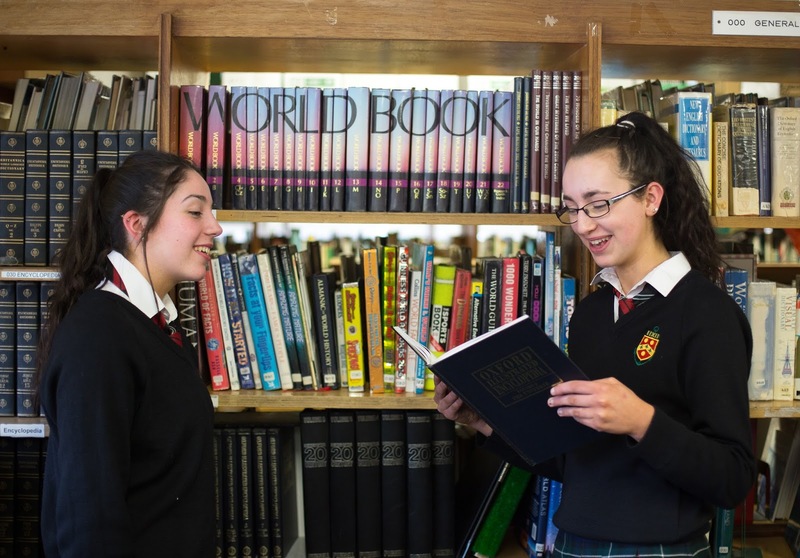 If you have a child starting Form 1 at The High School in 2016 or 2017, you will have already received an invitation to our Open Evening on Wednesday, 7 October 2015. 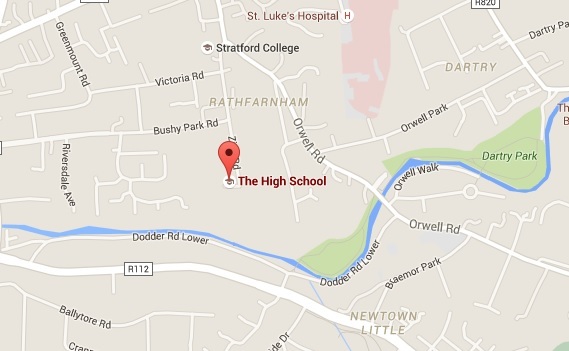 6.30pm - Registration for parents and guardians of incoming Form 1 pupils (2016) followed by school tour. 7.00pm - Registration for parents and guardians of incoming Form 1 pupils (2017) followed by school tour. 7.30pm - Principal's address to parents and guardians of incoming Form 1 pupils (2016). 8.00pm - Principal's address to parents and guardians of incoming Form 1 pupils (2017). Refreshments will be served throughout the evening in the Dining Room. 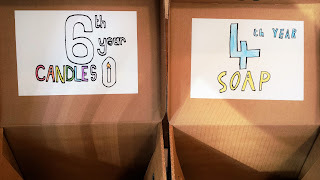 As part of their CSPE Action Project, Form 3 pupils, (3W) are promoting a collection for the Syrian refugees. They have put together a very thoughtful, organised plan that will enable every pupil in the school to make a small, manageable contribution to the campaign, if they should wish to do so. 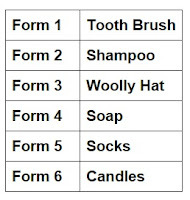 Their plan is that each year group might donate one type of essential item from a year-specific list, and each pupil might donate a single item; a candle, a toothbrush etc. There is a collection point right beside the entrance to the Reynold's Hall, opposite reception. Just pop the item you have brought into the box supplied. 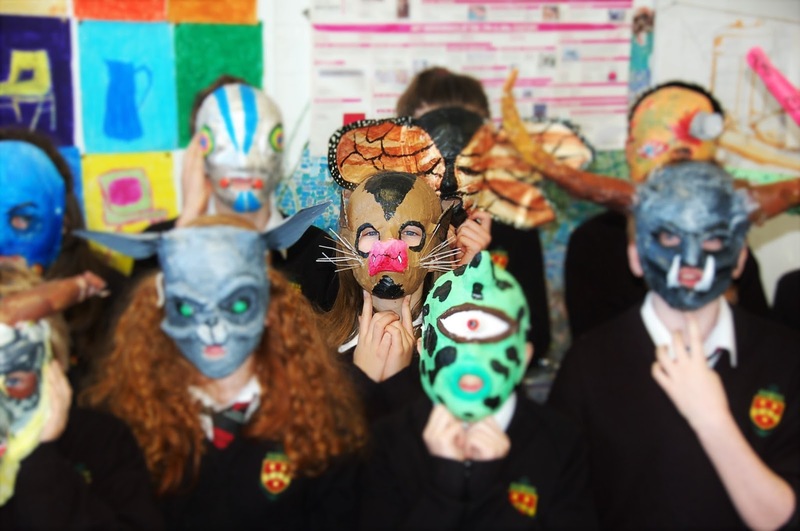 Form 4 pupils studying photography were also moved to respond to the Syrian Crisis in an imaginative way. By making word photographs, the pupils are cleverly expressing how they feel about the issue. And our closest primary school neighbours, Zion Parish National School, have been so touched by the death of the two little Syrian boys, Aylan and Galip Kurdi, washed up on the Turkish shore, that their pupils will dress like the children on Wednesday, 30 September, wearing red clothes to school, in a simple act of childhood solidarity. It seems that young and old in the community, have been deeply touched by the humanitarian crisis unfolding in Europe. It was a match to capture the imagine, that set brother against sister on rival teams - The High School Minor Boys' against the Senior Girls', High School Hockey teams. Having won their previous head to head, three weeks earlier, the boys were quick to take the upper hand, and scored in all two great goals, beating Emma Canning's straight strike from a short corner. The boys put up a great fight and pushed the girls to their limit. The final score was 2-1 to the boys. 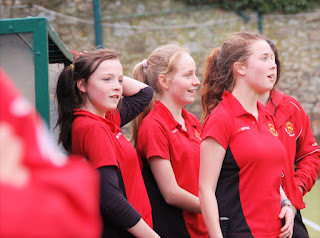 Fantastic win for Junior Bs on Saturday, who beat Holy Child, Killiney 3-0. Goals came from Esme Waller and Rachel Donovan, who scored her first ever goal. All played really well. 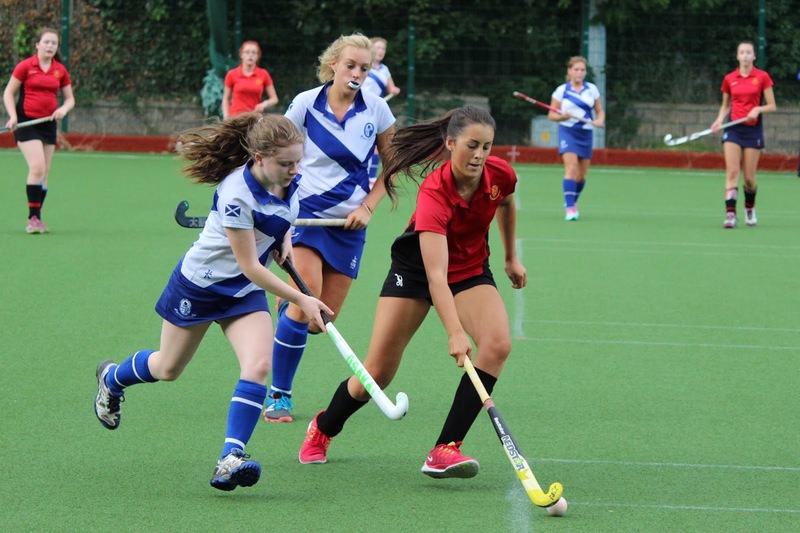 The result was more disappointing for The Senior 1 Girls' team, who lost 6-2 in their first league match of the season. They played against a very strong and experienced Loreto Beaufort side, who are expected to be the hardest team to face in the competition. Two goals came from Emma Canning on short corners. Unfortunately, on the day, they were the better side. Woman of the match was Mia Jennings. If you love to write, illustrate or are very good at organising things, then Ms Beamish and the new Erasmian Times team want to hear from you. 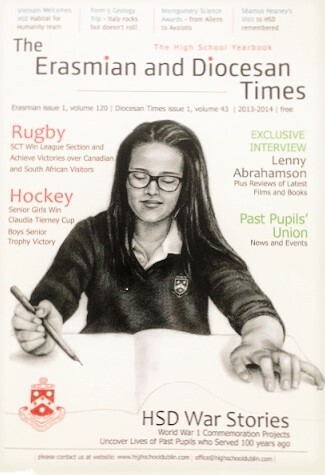 Each year, pupils from our school help publish the impressive yearbook, by supplying articles, illustrations, information, reflections, reviews, comments, in fact everything that you can think of, to make the Erasmian and Diocesan Times a highlight of the school year. Isn't it time that you volunteered to help? Don't you want to get your name in print; become a published author? Well here is your chance! Throughout the year, Ms Beamish and the Erasmian team will be collecting material for the publication, so if you come across some news-worthy event or happening, or if you have a short story or poem that is crying-out for an audience, then now is the time to act! We are waiting to hear from you, so what are you waiting for? The Simon Community Fun Run takes place next Saturday, 3 October in the Phoenix Park. The High School helps raise funds for this worthy cause every year and this year is no exception. Just to remind you what a great day lies in store for all participants, here is a little photographic reminder of last year's hijinks. Merely a week after returning to school, a group of eager 6th Form classicists met with Mr Milofsky and Ms Browne at the Abbey Theatre to view a performance of ‘By the Bog of Cats’ by Marina Carr. The idea of an Irish play set in the rural midlands, based on Euripides’ tragedy ‘Medea’, one of a number of Ancient Greek dramas we study as part of the Classical Studies Leaving Certificate course, intrigued the class greatly. 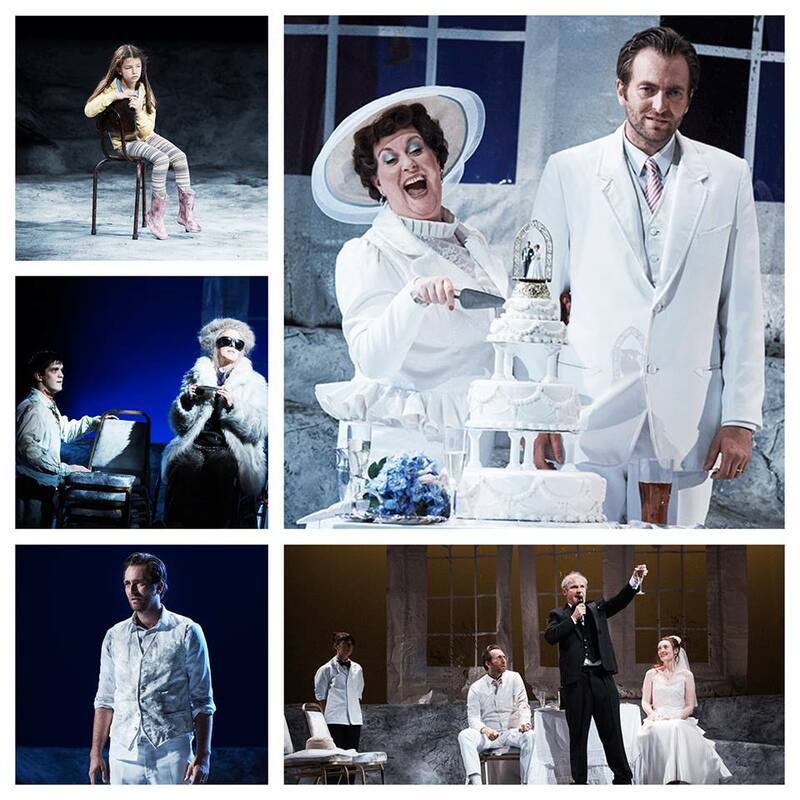 ‘Medea’ is a hugely influential play, while also being deeply radical, which focuses on families and their internal relationships. It particularly challenges the idea of the traditional relationship that exists between mother and child, and the role of the wife/mother – and this is echoed in ‘By the Bog of Cats’. To see these concepts from ‘Medea’ mirrored on stage was a very beneficial experience for the students, one which every one of us in attendance enjoyed. We would like to thank Mr Milofsky and Ms Browne for organising such an enjoyable evening, and look forward to visiting the Abbey again soon for another Classics trip to enjoy a production of Wayne Jordan’s 'Oedipus'. The 2016 Habitat for Humanity destination has been announced. Next Easter, teachers and pupils from The High School will visit Lesotho, a country in Southern Africa. Before that though, pupils must undertake a lengthy period of tireless fundraising, so please do all you can to support our intrepid team of travellers and future 'home builders'. As a reminder of just what is involved in a Habitat trip, and what pupils and locals gain by the exchange of experiences, we have made this short video of an earlier trip to Zambia. Ever wondered what book to read next? Well here is a list of the books that some of the pupils in our school are reading this month. Perhaps, you may be inspired to take a book off the bookshelf too. Last Monday, 21 September, The High School’s class of 2015 got to reunite once more for the Debs. We were all in high spirits and ecstatic to have the chance to catch up with one another. Everyone without exception looked wonderful in their finery, like something out of a Hollywood movie. We had an amazing night filled with laughter and dancing, that we’re sure to remember forever. We finished with some general discussions and the motion was passed. Next week's debate will be, 'The U.N. has been a failure'. All are welcome to attend. 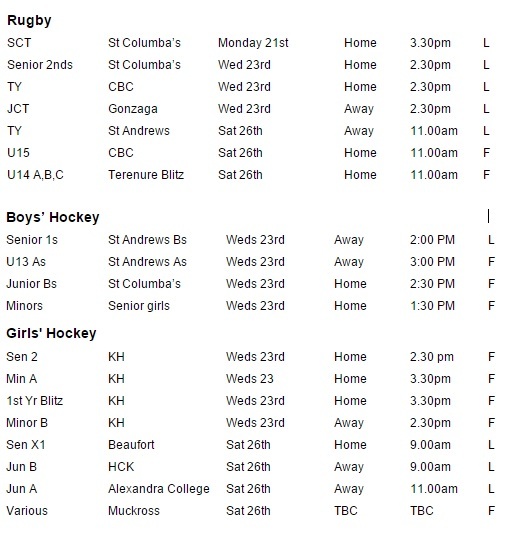 So far this year we have played Gerard's away (lost), Connaught under 18s home (lost) but put up a good fight. And then we had winning form against Mount Sackville home (win 2-1 - Mia Jennings Man of Match). St. Andrews home (draw 2-2 - Ruby Keating Man of Match). 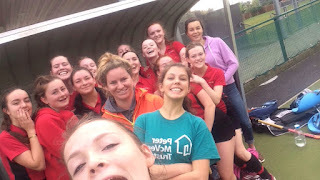 Holy Child Killiney away (win 2-0 - Olivia Cunningham and Zara naughton Man of Match). Senior 1 squad has been named for first league game v Loreto Beaufort at home this Saturday at 9am. The governors, staff, parents, pupils, and past pupils of The High School are warmly invited by the Church of Ireland Board of Education to join Heather Humphreys, Minister for Arts, Heritage, and the Gaeltacht at a service of Choral Evensong to mark the opening of the academic year at St Patrick's Cathedral, Dublin on Thursday 24 September at 3.00 pm. The sermon will be delivered by John Wills, Education Officer with Barnardos. 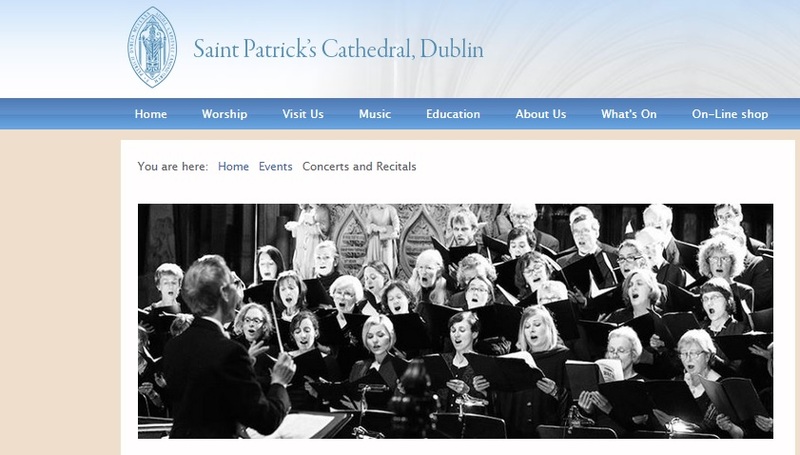 The service will be attended by the Most Revd Michael G St A Jackson, Archbishop of Dublin and Glendalough, Primate of Ireland and Metropolitan, the Revd Brian Anderson, President of the Methodist Church in Ireland, as well as hundreds of pupils from minority faith secondary school across the country. All are most welcome to attend. Senior Debating has now started up again. We will be meeting on Thursdays at 1.40pm in the library, to debate a range of interesting and relevant topic. The debating team will also be entering in the Concern Debates as usual this year, in which we debate topical issues with other schools. Anyone interested in joining is welcome to come along! Our topic for this Thursday will be: 'This house believes that Hungary should be suspended from the EU for its behaviour towards refugees'. On Saturday 19 September the intrepid Senior 3's played a very exciting game against Holy Child Killiney. Not once , but twice we came from behind to level the score. We had the lion's share of chances to score and even a ball saved off the Holy Child line in the dying minutes of the game. Goal scorers were Sinead and Sarah, and player of the match was Sarah Mullooley. Who incidentally put her body on the line in order to save a goal (she's got the bruise to prove it!) Another strong team performance! Rugby Information Evening for Parents - This Wednesday! We are having a Rugby information meeting for parents of Form 1 boys and any other parents of boys who play Rugby, who would like to attend. We will be giving information on HSD Rugby policy, what we do in The High School, Leinster Rugby, development, support and concussion. Starting at 6.30pm on Wednesday night, for 45 - 60 minutes. 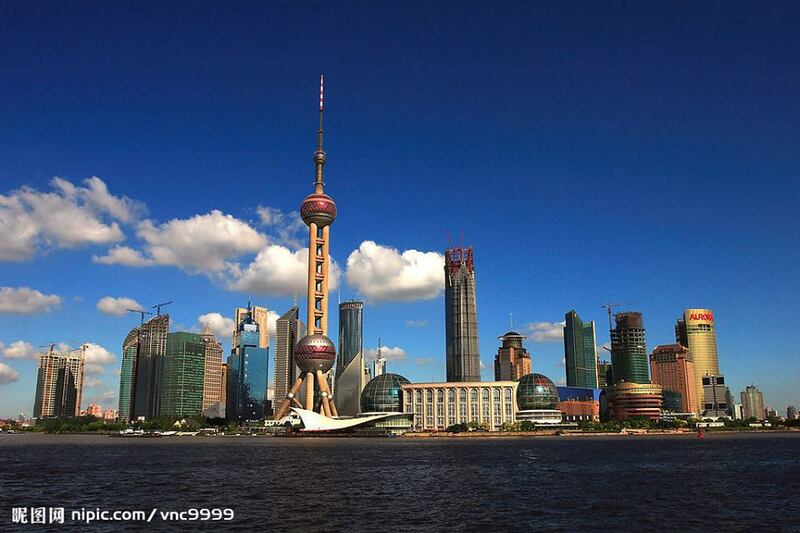 谁去中国？ - Who wants to go to China? This year Mrs Ennis will be teaching a Chinese Studies option to Form 4 and would like to offer all interested senior pupils the opportunity of a lifetime, to visit China next summer. 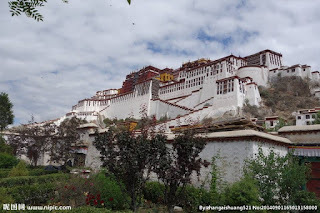 The trip would would take in both Beijing and Shanghai, and include highlights such as Tiananmen Square, the Great Wall of China, the Summer Palace and the old French Concession in Shanghai. Pupils will be able to try authentic Chinese specialities such as Peking Duck and take a hutong rickshaw tour through the narrow streets of Beijing. The proposed trip would leave Dublin on Tuesday 9 August and return on Wednesday 17 August 2016. There will also be a minimum of one hour of language teaching related to the activities to be completed each day. 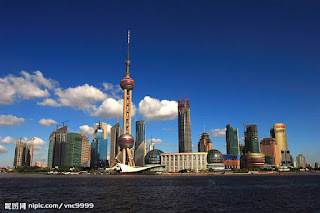 The provisional cost of the trip including all travel expenses, visits, hotel accommodation, insurance and all meals (with the exception of lunch and dinner on the final day in Shanghai) is €1684. Students will need their own valid passport and will need to apply for a tourist visa. If you would like your child to participate please obtain a form from Mrs Ennis and return it with a deposit of €150 (cheques made payable to The High School) by Friday 2nd October. If you have any questions, please contact Mrs Ennis. In our first half we didn't play to our high standards and let in easy goals, despite having a number of goal scoring opportunities ourselves. However, come the second half we were a different team and shifted up a gear. Despite our best efforts the final score was 5-0. That being said, we had some great runs and should have scored on numerous occasions. Next training session we're going to put in the extra hard yards so we come out on top for our match ... against Holy Child Killney. Player of the match Megan O'Donnell and Aisha Tuohy. Habitat Cake Sale is a Sweet Success! 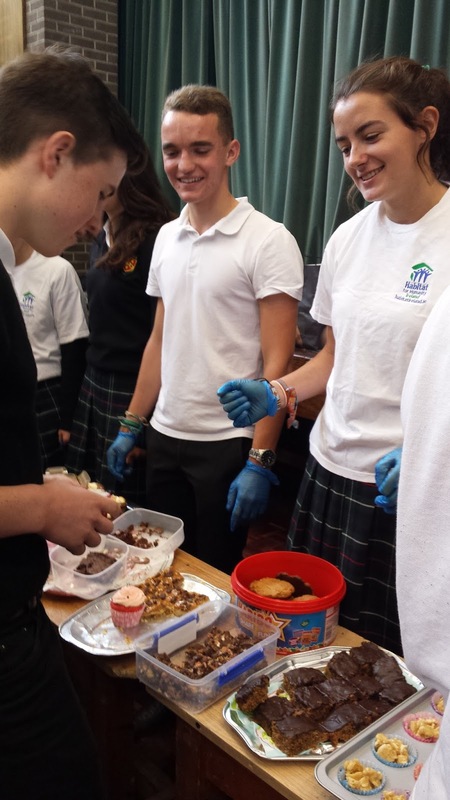 On Friday students participating in this year's Habitat for Humanity trip organised a fundraising 'Cake Sale' in the Reynold's Hall. It was a huge success, and proved to be very popular! Thanks to all the pupils (and their mums and dads!) who slaved over a hot oven to make all of the delicious treats; it was for a worthy cause and they were well-received. The destination of this year's Habitat trip remains a mystery, but as soon as it is revealed, we will let you know! 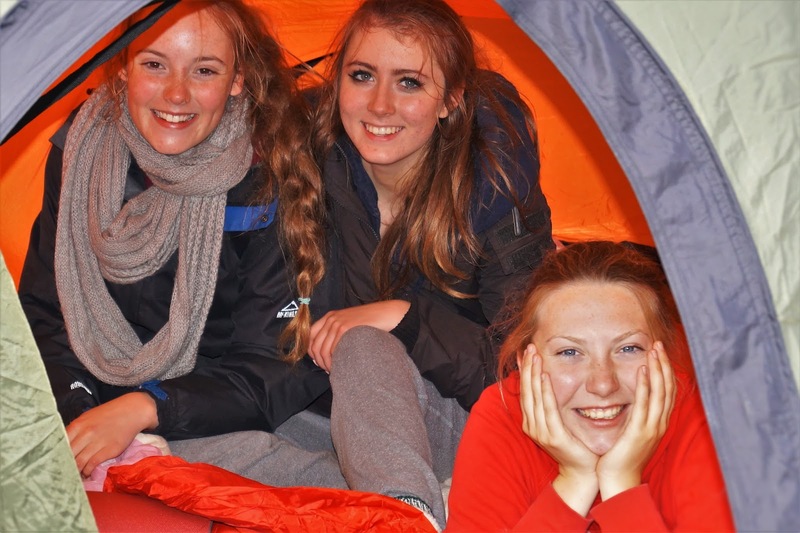 This year, Transition Year students went to Kippure Estate, Co. Wicklow to participate in an overnight camping excursion. We participated in a range of activities including; hiking in the Wicklow Mountains, camp craft activities, orienteering, archery, wall climbing, abseiling and a high/low ropes course. On arrival we went for a short hike in the Wicklow Mountains and summited Mt. Seefin, where there was a Megalithic Tomb. Here we had lunch and took in our surroundings before returning to the estate to take part in a number of camp craft activities, such as pitching tents and learning how to start a fire using flint, and how to filter water using charcoal, fine stones and moss. That evening we participated in an orienteering course, where we followed a set of instructions to source the food that would be used in preparing our dinner. In groups we worked together and used the skills that we learned earlier that day, in order to cook the food sourced. During the evening we went for a night-hike and, on return, we sat by a large campfire and roasted marshmallows. Following this we went to sleep in our tents. The next morning we ate breakfast and dismantled our tents before packing them away. We also cleaned the campsite to ensure that we left no rubbish behind. We spent the rest of the morning participating in a number of fun adventure activities, such as a high/low-ropes course, wall-climbing, abseiling and archery. It was a great start to Transition Year. Thanks to Mr Sullivan, for organising the trip and to Mr Malin and Mr Walker for participating, and to everyone who made the overnight stay possible. Want to see more? Click below to see the new video! Congratulations to Deirdre McClean a recent past pupil who has had her first article published in the prestigious and respected science journal, "Nature". 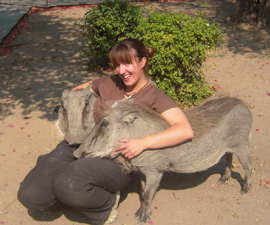 Deirdre is finalising her PhD in Zoology from Trinity College Dublin. is more proud than Ms Murphy, her Mum. To learn more about Deidre's work, check out this YouTube video. Wednesday 23 September Rugby Information Meeting, The High School, at 6.30pm. Friday 25 September Staff training day. School is closed to all pupils. Monday 28 September Parents' Association AGM. 8pm. 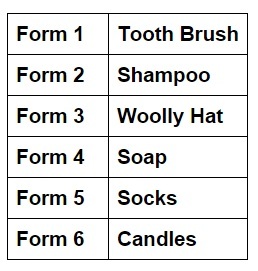 Thursday 1 October Form 3 parent-teacher meeting after school (4.15pm). Please note that school closes 3.40 pm. Wednesday 7 October Open Evening. 6.30-8.30pm. Due to an issue with the railway upgrade on the Belfast line, the proposed Form 4 trip on the 22 September cannot now take place. The trip will be rescheduled for later in October. The Argentinian Visit - A day to remember! On Thursday 10 September, St. Gregory's College from Argentina came to visit. They were on a hockey tour around Europe. We spent an enjoyable afternoon with them, playing games like soccer, rounders and tag rugby. Last Wednesday, The High School hockey players faced down their old adversaries Newpark, St Andrews and King's Hospital. Boys from The High School took on Gonzaga, King's Hospital and Belvedere College after school on Wednesday last. A memorable day was had by all.